OUTPOST HALLOWEEN REPORT: LOTS OF GOOD LOOT! If you haven’t booked yet for next summer beware as Jen is “kind of a big deal” in the underworld, the best way to stay in her “good” books is to give the little devil a call. That’s a great shot Stacey! “The buff is a wood buffalo, North America’s largest land animal, some bulls can go over 3500 lbs. The picture was taken Oct 13/09 on my recent trip to Yellowknife, NWT. It is very common to see buff on the road up there as you travel around Great Slave Lake. It’s a 22 hour drive from LloydminsterAlberta one way.” I didn’t know buffalo still roamed free anywhere in North America? Thanks for the updates Stacey. JP Biron put together a Hali-fishing video last summer which gives you a glimpse of where we’re going to be taking these reports and the website in 2010. We’ll be upgrading our site and adding all sorts of news, videos and audio for next summer so GET READY! You can watch the video on youtube… http://www.youtube.com/watch?v=Z3GuVXtfxgc Mike Tonnesen wrote a report on local BC activities over the last couple of months (he’s going to start posting under the Clubhouse reports periodically): Hello everyone and thanks for checking out our Clubhouse reports during the season that past and into the fall and winter of 2009. 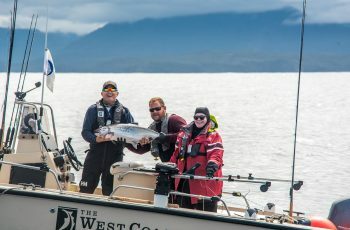 I am going to continue making reports as things unfold that might interest a few of our loyal guests and anyone interested in the West coast fishery. Will also try and pass on any news that comes my way as my phone seems to become gossip central during the winter months. 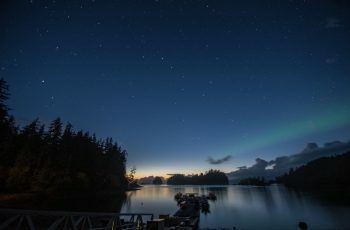 We left the Queen Charlottes Sept 19th with the final boats being run into Masset. The weather pattern changed for sure and lots of wind and rough seas were becoming the normal. We needed the rain, as this is spawning time and those fall rains raise river levels which triggers salmon to begin entering the fresh water. One local creek in the Charlottes, the Pallant, a hatchery creek had a great return of Coho. Friends of mine who live in the Charlottes fished the mouth of the Pallant as surplus Coho were made available. I heard they closed the fence to prevent overspawning, which is something you do not hear about a lot these days. Great news for a small system on South Moresby. I also have heard some positive news down south here, with some river systems recovering and having better returns. Out in the Port Renfrew area on the Southwest end of Vancouver Island things were great for Chinook, with the local news being very positive concerning the Chinooks. I fished out there with my boat the Reservoirdog, during the last week of Sept. first two weeks of Oct. The Chinooks had passed threw, so was targeting Coho. With early rains the good Coho were in the San Juan and Harris creeks, but the fishing was decent, for 8 to 12 lb coho. 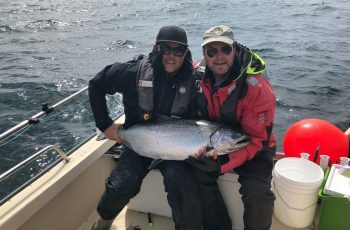 A monster 26 lb hatchery job Coho was brought in for one lucky angler. 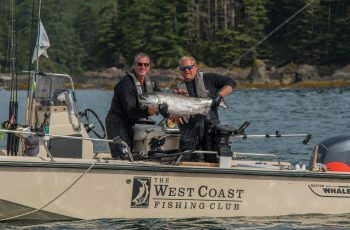 This area is renowned for monster Coho showing late September, with some fish well over 20 lbs taken every year. 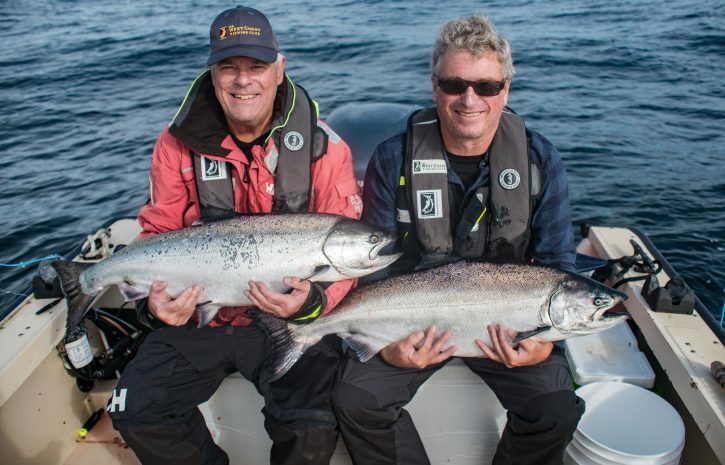 The one river I have heard about with continued problems is the local high profile CowichanRiver, so far a dismal return of Chinook adults numbering less than 1000. I am going to continue to dig around for any news concerning returns and pass the news on. The next few weeks will have large volumes of chum salmon hitting local streams, rivers and ditches, Cody Ling is pounding the Puntledge as we speak so will pass on any news. Another interesting occurrence is the Humboldt squid hitting local beaches around Vancouver Island. There appears to be a massive die off, with many dead squid on the beaches in Port Hardy, Victoria, Port Renfrew, and spots all around Vancouver Island. Speculation is they were up here feeding and the water has cooled a few degrees, triggering the die off. lots of locals pick them off the beach and freeze for hali bait. 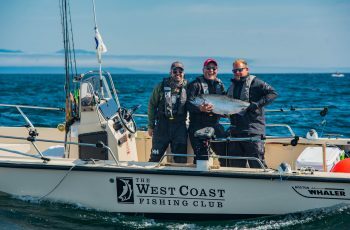 Halibut fishing has been strong this year and continues on the south coast here in Victoria. Weather providing locals are reporting fantastic results which is great news. Everyone should have some for winter at this point. Personally in about a month I will start to target winter Chinook as we call them ,a very tasty fish 8 to 12 lbs caught trolling deep close to the bottom. Fun to catch and better to eat! This is a popular diversion in the winter months here in Victoria, not uncommon to see 30 boats out on a tide. Well that is it for this week, hope to have some news next week, Mike Tonnesen, Screamer, Head Guide That’s it for this week, stayed tuned every Monday and hope you all had a Happy Halloween.